They may not be among the top 10 richest acts in the genre but it is evident that there are several lit female rappers spitting mad bars and serving rap goals around the world today. In an industry dominated by men, a revolution which took place in the 1980s saw the female rappers get the much-deserved recognition that had eluded them, thus, bringing a new look and style to the hip-hop genre. Blockbusters like Missy Elliot, Lauren Hill, and Queen Latifah set the pace for the emerging female rappers and look where we are today. Some of the hottest hits in recent times have more than a few links to these talented women, especially the top 10 best female rappers in the world right now. With the inflow of new talents into the rap genre, it has become extremely hard to point out the best among the best but we can try. For what it’s worth, our list of top 10 best female rappers in the world does not just focus on talent but gives value to the ability to break new barriers, explore the horizon and stay relevant in the very competitive entertainment industry. Let’s take a look at some of the biggest females acts who are pulling all the stops to make a statement with their voices. Their achievements speak for them and these ladies have continued to bring it hot to the audience. Apparently, male rappers have their work cut out for them and need to watch out for these divas. In no particular order, here are the queens of the rap world, aka – the chart-toppers and top 10 best female rappers in the world at the moment. Despite her brief run-in with the law, Kimberly Denis Jones has retained her stance among the most influential rappers in history. Mentored by The Notorious B.I.G himself, Kim has recorded so many feats since her 1996 debut. She holds the record of the first album by a female rapper to be honored with the coveted 5 mics award from hip-hop magazine – The Source. Living on the streets of New York after she was sent away from home, Kim would freestyle her rap skills until Biggie Smalls scouted her after which she became a member of his Junior M.A.F.I.A rap crew. Subsequently, the rapper became one of the three female acts to boast three platinum-certified studio albums. Even while serving time in 2005, the “Queen of Rap” and “Hip-Hop Goddess”, as she is often called, continued to release hits to rave reviews. She has thus far sold over 15 million albums and 30 million singles across the globe and her $25 million net worth is proof she is on the right path. Active since 1998, Reminisce Mackie who goes by the professional moniker Remy Ma first came into mainstream prominence when she joined Fat Joe’s music group but she was discovered by Big Pun. She has since earned her respect as part of the top 10 best female rappers with many awards and nominations to her name irrespective of the fact that she spent six years in prison. Ma is renowned for her unique way of dropping the bars so effortlessly, leaving her audience with a food for thought and something new in each track. Straight outta church choir, Melissa Arnette Elliott – AKA, Missy Elliot is all kinds of hot. You just have to love the versatile entertainer with her effortless skills in rapping, dancing, singing, writing, and directing music videos. She is among the pacesetters for female rappers and has remained relevant since her debut in 1989, earning herself a spot among the top 10 best female rappers in the world. She holds the record as the only female rapper who has accrued six platinum-certified albums. Missy’s absence was unequivocally felt in the music industry in 2011 as a result of her battle with a hyperthyroidism disorder called Graves’ disease. The condition came with symptoms that stopped her from writing songs as she could not hold on to a pen for long. Nevertheless, with the right treatment, the legendary rapper is in a better place and looks forward to making a comeback. Meanwhile, she has won several awards in the past including four Grammies and sold more than 30 million records in the United States alone. Voice – check; unique music style – check; effortless flow – check; mad bars – double check. Nicki Minaj is quite the attention grabber and has been ranked over time among the 10 best female rappers in the world. Her raw bars might get some people all riled up but Nicki got no chill and never holds back. She’s popular for spitting her lyrics really fast in addition to those colorful costumes and wigs that has become her signature look. 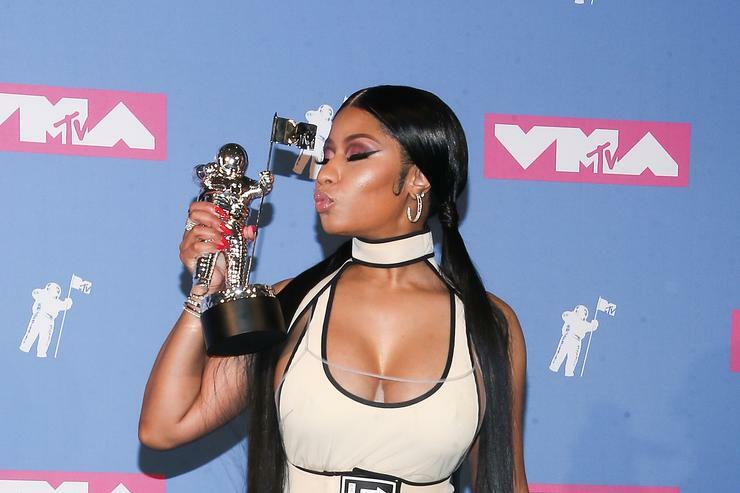 The Anaconda hitmaker with real name Onika Tanya Maraj is among the younger female rappers who gave the genre a new look. Seriously, we weren’t ready for the Trinidadian-American bombshell. With hit tracks like Super Bass, Starships, and Bang Bang, Minaj holds the record as the female act with the most Billboard Hot 100 entries, not just in hip-hop but across all genres. Her insane flow and delivery have earned her 6 American Music Awards, 11 BET Awards, 4 MTV Video Music Awards, 4 Billboard Music Awards, a Billboard Women in Music Rising Star Award, as well as 10 Grammy Award nominations. Additionally, her commercial success has seen her sell 20 million singles (as a lead artist), 60 million singles (as a featured artist), plus more than 5 million albums sold globally. No gainsaying she has a spot among the world’s best-selling musicians and the world needs to watch out for the ball of fire that is Nicki Minaj. Among the legends in the industry, Lauryn Noelle Hill may have slipped into isolation by removing herself from the public eyes but she still deserves a place with the top 10 best female rappers that have ever been. The American singer, rapper and songwriter was a part of the Fugees group before she shattered the records with the release of her debut and only solo album The Miseducation of Lauryn Hill. The album made her a global name, earning a number one spot on the U.S. Billboard 200 upon its debut. It has also sold almost eight million copies, won five Grammy Awards, among several others. As early as 1988, MC Lyte, real name – Lana Michelle Moorer emerged as the first solo female rapper to release a complete album. The album (Lyte as a Rock) wasn’t just a collection of tracks but was critically acclaimed. She successfully changed the stereotype of female rappers not being able to shine in the male-dominated genre and will be remembered as one of hip-hop’s first feminists. She has since spawned seven more albums including 2015’s Legend. Although she has become more of an actress, a list of top 10 best rappers in the world wouldn’t be perfect without showing some love to the Philadelphia-born star. Eve Jihan Jeffers-Cooper was the first to lift the Grammy Award for Best Rap/Sung Collaboration in 2002. She received the accolade for the song Let Me Blow Ya Mind which she did with Gwen Stefani. She has worked with Dr. Dre, DMX, and the Ruff Ryders. Before she went all Hollywood actress on us, Queen Latifah was making a statement and earning a much-deserved respect as a female hip-hop artist. While her last album (Persona) was released since 2009, she is still remembered and credited as one of hip-hop’s pioneer feminists alongside the likes of MC Lyte. Love her or hate her, The Bronx-born rapper is here to stay. Belcalis Marlenis Almánzar is gradually taking over a lot of things including the charts and giving her predecessors a run for their money. The stripper-turned-rapper joined Lauren Hill as the second female rapper to top the US Billboard Hot 100 chart with a solo output, she achieved this with her single, I Like It. Also, her debut studio album, Invasion of Privacy, released in 2018, debuted at number one on the Billboard 200. The musical offering also broke records amid rave reviews from critics. Stemming from her meteoric rise to prominent fame, she made the cut on Time’s 2018 100 most influential people in the world. So far, Cardi’s growing career boasts 2 Grammy Award nominations, 1 Billboard Music Award, 2 BET Awards, and 3 MTV Video Music Awards. Her musical style has been described as unapologetic, raw and aggressive. She has often been accused of being a Nicki Minaj wannabe, well, who cares? Besides, if the claims hold any water, she is doing a great job at it. 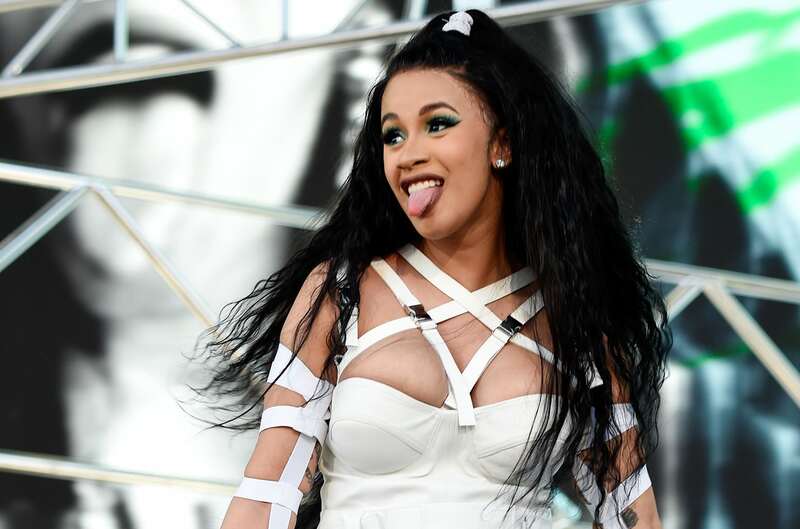 Seemingly, Cardi B will remain on the coveted top 10 best female rappers list for a long while. The Australian rapper whose real name is Amethyst Amelia Kelly relocated to the US when she was 16 in order to give her music career a chance. She later signed a deal with rapper T.I.’s Grand Hustle Records. Azalea topped the Billboard Top R&B/Hip-Hop Albums with her first studio album, The New Classic, released in 2014. This set her apart as the first non-American female rapper to make it to the peak of the chart. She has equally recorded several other milestones in her career as a rapper.